Vibrant ripe plum and dark berry aromas are complemented by a spicy undercurrent of anise and a hint of oak. Lush blackberry and ripe black cherry flavors greet the palate while subtle vanilla and rich spiced plum continue to entice along the length. The opulent fruit is balanced by bright tannins and lively, linear acidity. Its youthful vivacity makes this wine perfect for grilled meats. Jam, short for John and Michele, as in the owners, is one of the new wines offered by Abigail Adams Wine Company. It boasts concentrated fruit and plush tannins. An approachable and affordable Napa wine. 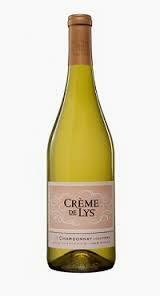 The 2011 Crème de Lys Chardonnay is a must-try for those who want a luxurious wine at half the price. It has a lot going for it: more than six months of aging in French oak and a pudgy crème brulee aftertaste that suggests a much more expensive wine. Be careful to check the vintage, though, as some years have not been as successful. The wine’s price is $10 a bottle and when you try it, I think you will be impressed by its fatness, as this expansive white shows aromas of toast, cream and some pineapple. As well, the lush mouth impression is quite a head-turner. It received a Silver Medal at the California State Fair, and if value were taken into account, this would have been a Double Gold. I feel this wine drinks like a lot of chardonnays that get almost twice as much per bottle, so have at it. Try Glazer’s Distributing if your favorite wine place doesn’t have it. Willamette Valley Pinot noir has been produced from time to time since our first release, a non-vintage blend of the 1987 and 1988 growing seasons. Today, Wallace Brook Pinot noir continues our mission of bringing diverse flavors and textures into focus, thereby creating a complex, vintagedated Pinot noir at a moderate price. A pinot noir, produced in California by the Wagner Family, is one of ten wines recommended by Fox News as a great wine to pair with turkey and the trimmings. This wine is broad and balanced with aromas of blackberry, cherry, vanilla and oak. We offer this selection for $17.49. Conundrum is another wine that Fox News notes to be an excellent choice for the holidays. It is a blend of Chardonnay, Sauvignon Blanc, Muscat, Voignier and Semillon from California. It is a complex, full-bodied, rich and lush wine and perfect for Thanksgiving. This Napa Cabernet Sauvignon is one of our personal favorites. We ordered a bottle for dinner at a restaurant in South Georgia, and after our meal we left to find the nearest wine shop where we bought half a case to bring home. This full-bodied wine presents aromas of blackberry and cherry, cocoa and mint, and has a lingering finish. And the label is lots of fun! We offer this selection for $20.99. Awarded 89 points by Wine & Spirits for a Best Buy wine, this Columbia Valley Cabernet is a reflection of the terroir of the Columbia River Appellation. This is a soft wine with flavors of black cherry, caramel, plum and a hint of coffee bean. We offer this selection for $25.99. This is a quality, value wine. More than a century before champagne, the Benedictine Monks of the Abbey of Saint-Hilaire in the Southern foothills of Limoux had created France’s Very First Sparkling Wine. Today, over four and a half centuries later, SAINT-HILAIRE Blanquette de Limoux is made in the very same foothills of Southern France.